In recent years the impact of illegal wildlife trade (IWT) on species has reached unprecedented levels. This illicit trade is estimated to be worth up to $23 billion a year and represents a threat to the very existence of some of our best-loved species including rhinos, tigers, elephants and pangolins. Urgent action is needed to address this crisis, to help countries control poaching on the ground as well as to take steps to reduce the demand in consumer countries that is ultimately driving the trade. 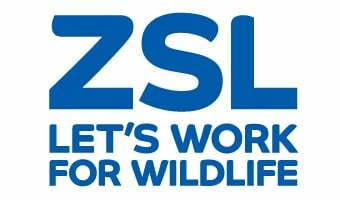 ZSL has a long and rich history of conservation work and is currently active in over 50 countries around the world. An important element of this work addresses the impacts of the illegal wildlife trade, on species, habitats and people. The UK was recently host to a high-level international conference with ZSL as a supporting partner. The conference brought together global leaders to build partnerships and identify collaborative solutions to combat IWT. The conference was the fourth in a series that began in London in 2014 when governments signed a declaration addressing four key pillars: eradicating markets in illegal wildlife products, strengthening law enforcement, ensuring effective legal frameworks and supporting sustainable livelihoods. This year, the focus was on three key themes; tackling IWT as a serious crime issue, building coalitions and closing domestic markets. ZSL was also host to three supportive events for academics, NGOs, leading technology companies and government representatives in the lead up to this high-level event. Follow #EndWildlifeCrime on Twitter for ongoing news and information.